Novels that haunt me: 2016 was a pretty incredible year for fiction. I won't likely finish Colson Whitehead's The Underground Railroad before the year is out (I just started it), so won't include it here--though so far it is remarkable. 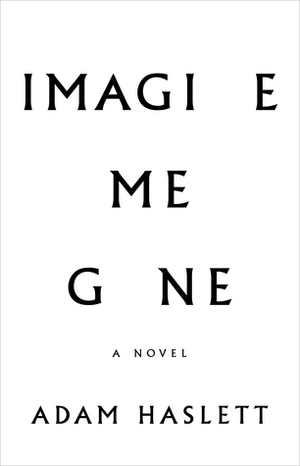 The two novels that have most impressed me--and impressed themselves upon me--are Don DeLillo's Zero K and Adam Haslett's Imagine Me Gone. Zero K is poised for the moment--a character study of trust amidst failing states and outsized hopes in technology, taking seriously an enduring religious impulse that characterizes our secular age. It's conceptual scope is ambitious while it's plot and dramatis personae are focused and minimal. I took my first pill as soon as I filled the script at the CVS in Copley, a few blocks from Dr. Gregory's office. By the time I'd reached Newton Centre on the Green Line, I couldn't stop smiling. The kind of big, solar smile that suffuses your whole torso, as if your organs are grinning. Soon I began to laugh, at nothing at all, pure laughter, which brought tears to my eyes, no doubt making me appear completely insane to the other passengers. But happier I have rarely been. For that hour and the three or four that followed, I was lifted down off a hook in the back of my skull that I hadn't even know I'd been hanging from. Here was the world unfettered by dread. Book I couldn't finish: Anthony Lane Fox's biography of Augustine was positively doldrumesque. Though I took the book on assignment, after multiple attempts, I finally had to abandon ship. Life's too short to read horrible biographies--especially when Peter Brown's bio is right here on the shelf next to it. No one has yet improved on Brown's masterpiece. Poetry I can't put down: I should note Ocean Vuong's new collection, Night Sky with Exit Wounds, which is melancholy and discomforting and yet charged with gratitude and hope. But there is one poem that has been an absolute game-changer, a poem I bumped into by accident almost but has spun tendrils around my heart. Like some of the most important books in my life, I picked up this book on a discount table (I'm a long-time believer in "bibliographical providence"). 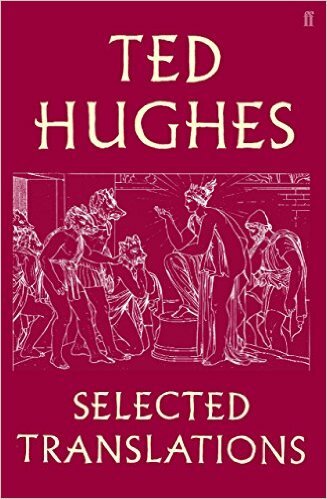 Specifically, I ran into Ted Hughes Selected Translations at Vroman's in Pasadena, one of my favorite shops and an annual haunt. A fan of Hughes' guttural, earthy, Yorkshire poetry, I somehow had missed this part of his corpus so added it to my stack. Only several months later did I wade into the collection which ranges from ancient to contemporary poets. It was a poem by the Hungarian poet, Ferenc Juhász that sucked me in. It is almost sacrilege to try to describe "The Boy Changed into a Stag Cries Out at the Gate of Secrets" in prose. Try imagine Pan's Labyrinth as poetry, a 13-page compressed epic in which a mother is calling to a distant son who has fled. The poem has a cyclical cadence about it, a call-and-response that feels like a litany, unearthing death and debts and all the things that make us sons and daughters. I have re-read it countless times in 2016 and don't expect to stop anytime soon. A Life: I read some marvelous biographies and memoir this year (Camus; Kissinger; Bruce Springteen's Born to Run; Accidental Life, Terry McDonell's insightful romp through magazines and editing; and more). 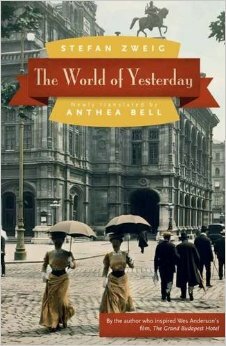 But it is the heartbreak of Stefan Zweig's The World of Yesterday that has lodged itself as a thorn in my soul. I'm still not really in a place to write about it--the beauty and honesty of Zweig's prose and his paean to Vienna amidst the horror and deceit of Hitler's rise. The displacement; the desecration; the decimation of a culture and a people. The quotidian evil of war. The erosion of rights. The striving for a cosmopolitan community despite the clamping down of borders and the stomp of nationalist jackboots all around. Zweig makes you face things you hope he's wrong about: "If there is one new art that we have had to learn, those of us who have been hunted down and forced into exile at a time hostile to all art and all collections, then it is the art of saying goodbye to everything that was once our pride and joy."